Here is another rather faded schedule. 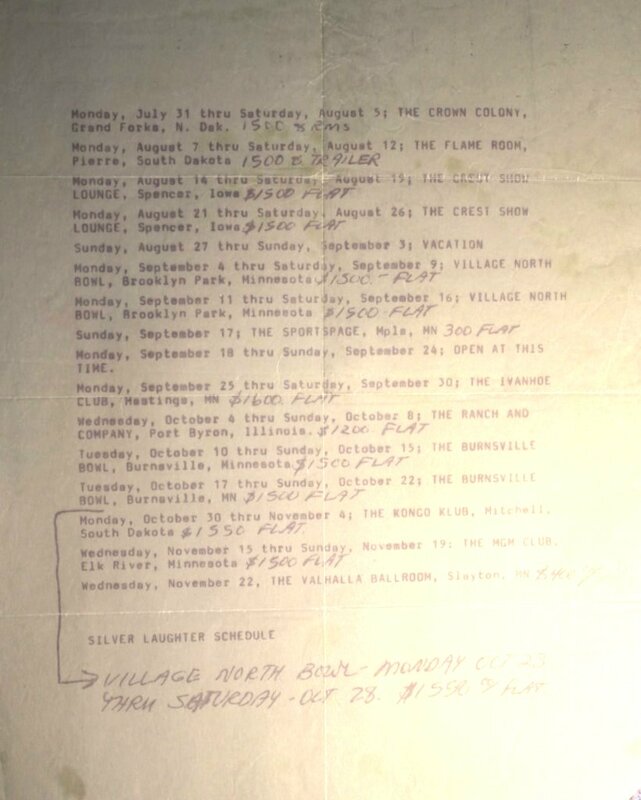 After doing some research this appears to be from 1978 starting in July and shows all the bookings that were confirmed through November. You may notice that it matches up with the booking calendar I kept for myself and have posted elsewhere on this site.